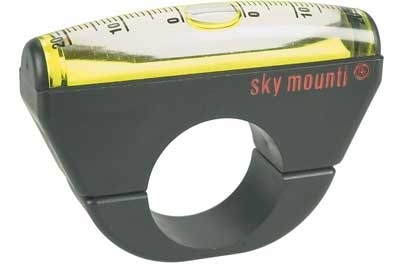 The Sky Mounti inclinometer is one of the most straightforward products in the cycling marketplace: it's basically a carpenter's level, albeit a very small one, for the handlebar of your bike. It will accurately measure the steepest hills you embark on, from -15% to +27% grade. 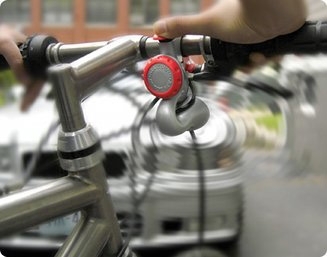 Just tighten it onto your handlebar and you're ready to go - no batteries required. As you ride uphill the bubble moves towards the front of the inclinometer. Read the leading edge of the bubble to see the percent incline. As you ride downhill the bubble moves towards the back of the inclinometer. Read the trailing edge of the bubble to see the percent decline.